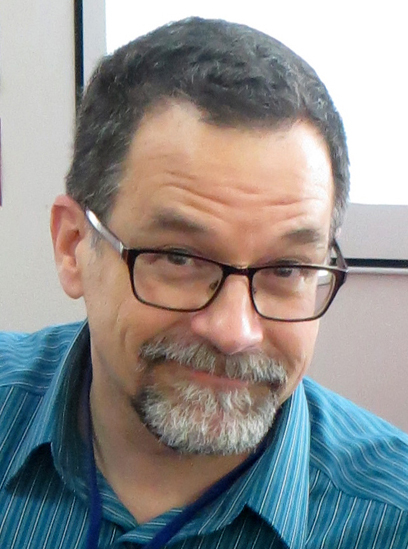 John Steven Gurney is the author and illustrator of the graphic novel Fuzzy Baseball and the picture book Dinosaur Train. He has illustrated over 140 chapter books, including the A to Z Mysteries, the Bailey School Kids, and The Calendar Mysteries series. He has illustrated board games, advertising, posters, puzzles, and a shopping bag for the Macy’s Thanksgiving Day parade. John has worked as a caricature artist from Atlantic City to Las Vegas, and on the streets of New York City, but primarily in New England. John grew up in Pennsylvania reading Dr. Seuss books and watching Bugs Bunny cartoons. As he grew older his reading material shifted to Mad Magazine, and then to JRR Tolkein (but he never stopped watched Bugs Bunny cartoons). He studied illustration at Pratt Institute in Brooklyn, NY, and received his MFA in Illustration from the Hartford Art School. John loves visiting schools to talk about illustration. Since 2002 he has visited schools in 31 different states, and five countries. John lives in Brattleboro, Vermont with his wife Kathie. He has used more than 40 people from his town to pose as characters for his books. He loves running and cycling, except when there’s too much snow, in which case he cross country skis and plays racquetball.